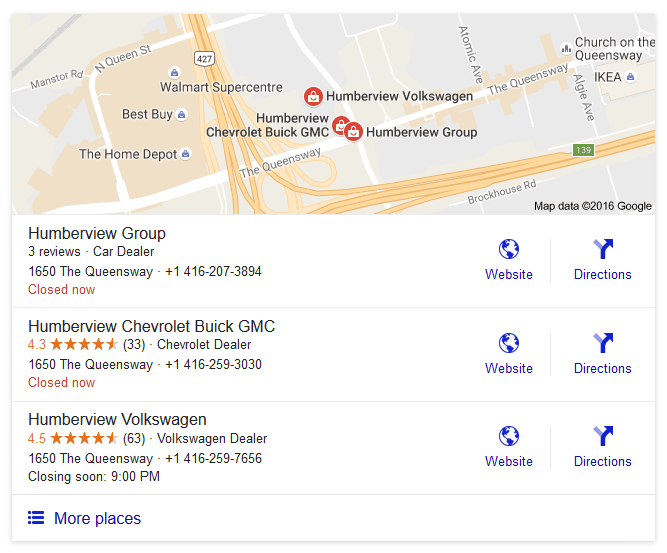 Google has made a major change to the desktop version of their local 3-pack.. It seems that the mobile icons we spotted Google testing in their local 3-pack are now permanent. These icons are the same as the ones Google uses on their mobile results, so it is yet another change Google has made in order to make the desktop search results match the mobile. Along with the change in icons, Google also change the color of the icon from a darker blue. Google first began testing the mobile icons on desktop earlier this month. It seems that it was the start of a rollout, as now all searchers appear to be seeing these icon styles.